Floating Ecosystems provide a versatile solution to restore ecological function in degraded or heavily modified waterbodies. The Biomatrix buoyant tough float structure is designed to make wetland creation and water restoration possible, even in locations with waves, changing water levels, hard edges and fast currents. The structural floating technology allows thriving wetland communities to be created in challenging and dynamic waterbodies. 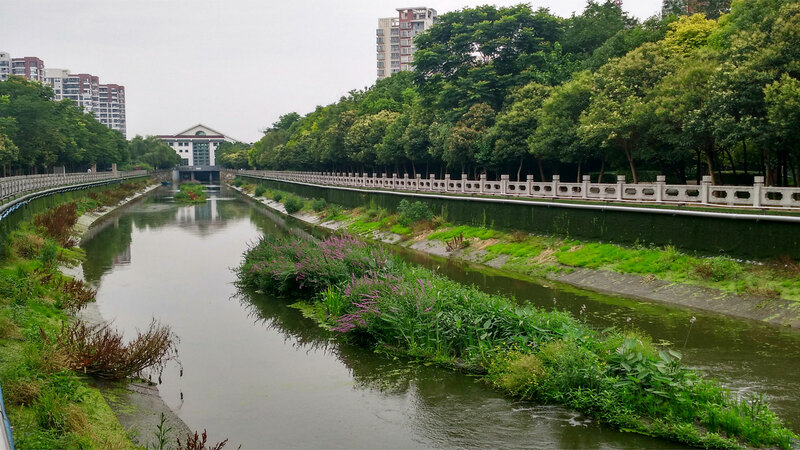 A healthy waterway or water body is alive, with clean vital water that supports a diversity of aquatic life: microorganisms, plants, fish, turtles, otters etc.. 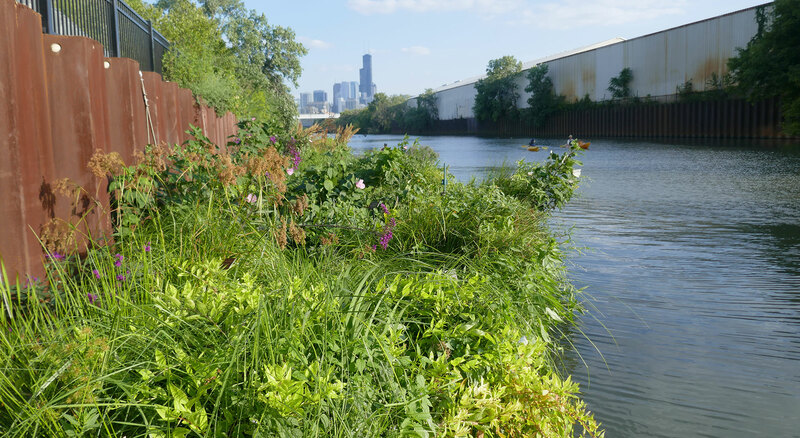 The more diverse the ecology within the river, lake, pond or canal, the more resilient it can be to the inevitable inflows of pollution, be them from urban or agricultural runoff, sewage or industry.  Biomatrix specialises in water restoration. 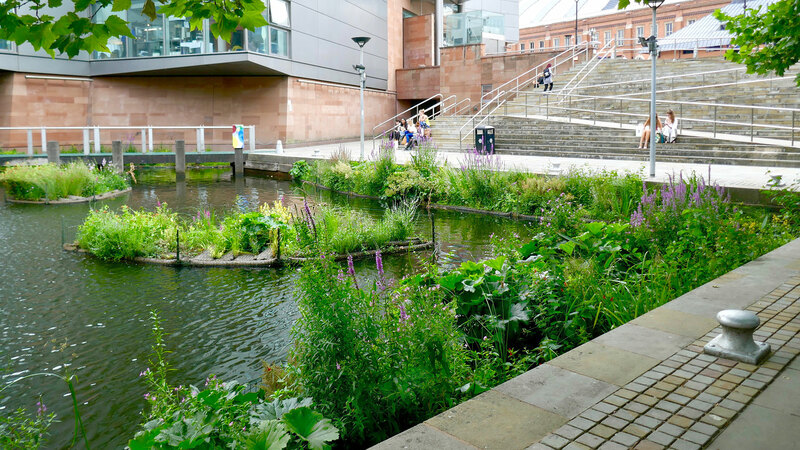 Our Floating Ecosystems are engineered to improve water quality within rivers, lakes, ponds and canals as they increase aquatic life, leading to a balanced and revitalised waterscape. Water volume remains unaffected retaining flood water attenuation capacity. 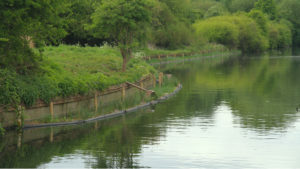 Ideal shelter for fish & aquatic biodiversity, supports Water Framework Directive. 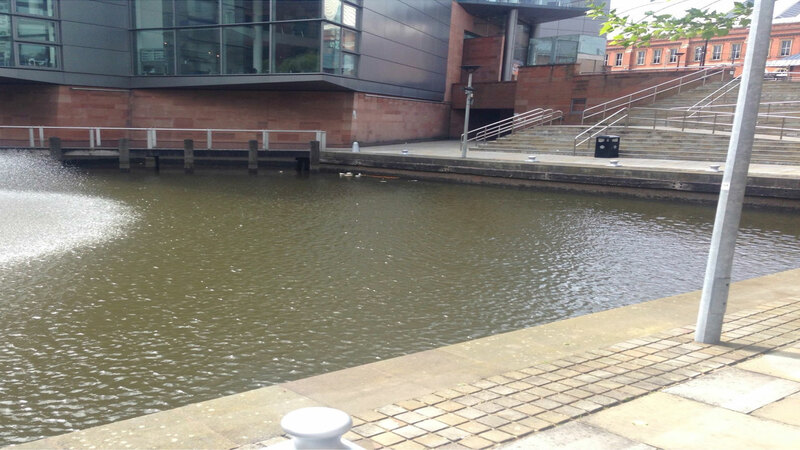 Responds dynamically to changing water levels. Improved ecology above & below the water. Natural water quality enhancement, with full contact between plants and water. Durable, marine grade, engineered structure. Stainless steel & HDPE won’t biodegrade. 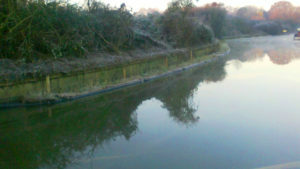 For lakes, rivers or canals with heavy inflows of pollution or septic overflow during storms a section of the water body can be made into a lagoon to treat this water directly before it enters the rest of the waterway. 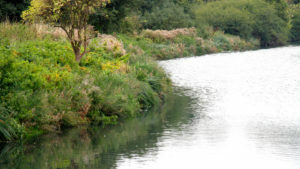 Visit our product page to learn more about the products that can be used for effective river, lake, pond and canal restoration. 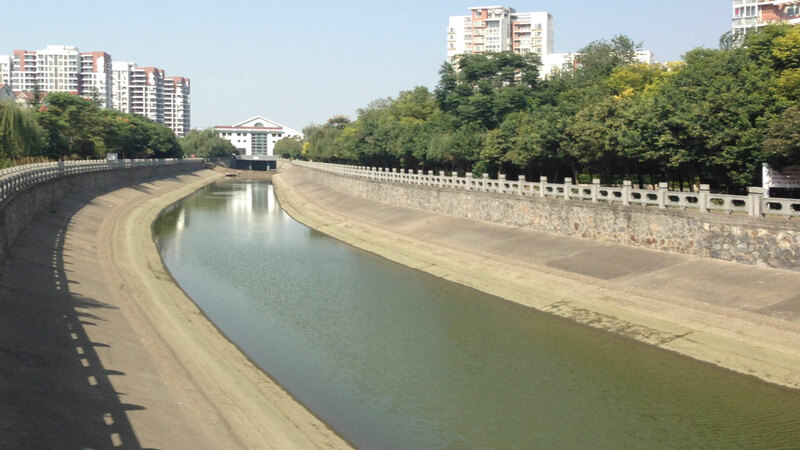 Read a casestudy to see an example of Water Restoration in action.